Austin, Texas—For the fifth consecutive season, Concordia University Texas (CTX) will offer the informal course Cinema and Religion to the community on Monday nights beginning January 22, 2018. The class is held each week at 6:30 p.m. at The Moviehouse and Eatery in The Trails at 620 Shopping Center across from the University. The series runs on the heels of the fall informal class titled Lenses just completed in November. While the fall class used ten different approaches to the interpretation of film, the spring series uses one—the lens of religion. 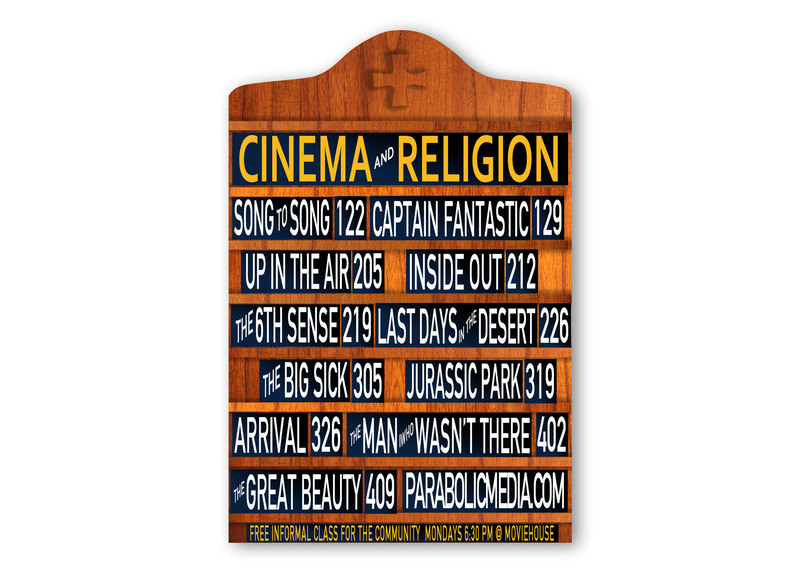 The curriculum is built around specific religious themes repeatedly found encoded in our culture’s popular cinematic narratives. Each week the class will examine an outstanding story artifact—a film that raises one or more of these profound religious questions for viewers. Through close examination, the course helps people develop skills in discovering and analyzing religious ideology found subtlety but abundantly in the media. The experience will equip film audiences to analyze a story’s suggestions concerning the character of God, the search for transcendence, the struggle between revenge and forgiveness and the means and nature of redemption. The class features a discussion following the examination of each night’s film. The conversation is lead by Concordia professor Dr. Jake Youmans and other guest respondents. The non-credit course is free and open to registered members of the public who are invited to develop media fluency as co-learners alongside traditional college students. 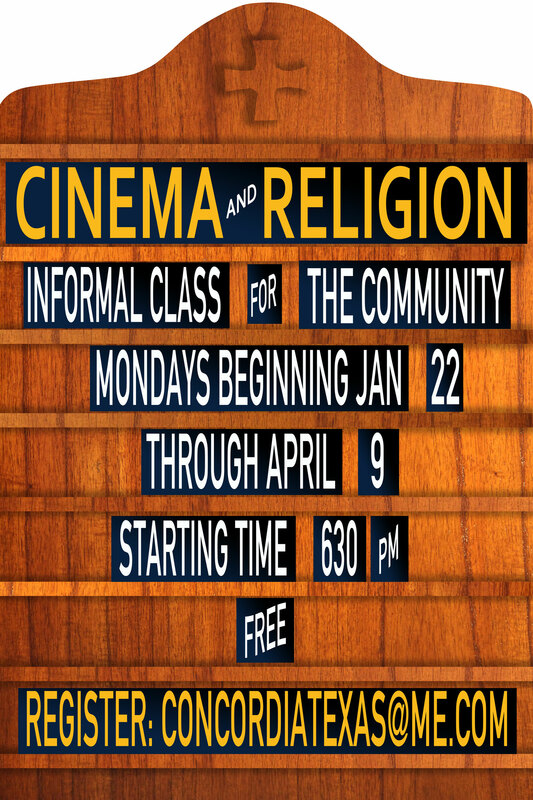 The class will begin January 22 and will run every Monday through April 9 at the Moviehouse & Eatery. During Spring Break on March 1, the class will not meet. Community learners have no assignments or attendance requirements, and no college credit is awarded for the informal course. To register for any or all of these class sessions do not contact The Moviehouse & Eatery directly. Instead, simply email Dr. Philip Hohle at <concordiatexas@me.com> to register for the free course. To reserve your seat(s) each week (max is four), use this form. For each class, you will need to claim your seat(s) by completing the form no earlier than a week in advance.